Recently Microsoft launched their new Surface Pro 4 and Surface Book. As a person that is on the go fairly frequently I jumped at the chance to get a more portable alternative to my much-loved Lenovo ThinkPad. I’ve been a Lenovo user for almost 10 years. I really liked their machines. However the new tablet style designs were getting more and more attractive to me as someone who wants full PC power in a portable tablet package. My ears perked up when the Surface Pro 3 was starting to get some steam and popularity, however I was told that the new Surface Pro 4 would be coming out soon. Much to my surprise the Surface Book also accompanied this release. It was a tough decision between the Pro 4 and the Book, however I had to remind myself that portability was the biggest necessity for me and the Book is a notch heavier and bigger than the SP4. Also, I couldn’t imagine using the 13″ screen as a tablet – it would just be a bit too big. I opted for the Surface Pro 4 with 256 Gig of solid state disk space, 8 gig of RAM, and the i5 Intel 6th generation processor. That would be enough power for what I have to do on the road. A lot of web browsing and publishing, minor Photoshopping, and watching movies. So how does my new Surface Pro 4 hold up vs. my Lenovo Thinkpad T420s? So far I am loving the Surface Pro 4. There are a few things that I have to get used to vs the Thinkpad T420s (which was a magnificent machine by the way, and has been rock solid for 3 years). The first thing is the lack of the Thinkpad trackpoint in the middle of the keyboard. Wow, do I miss that. If anyone at Lenovo is listening, if you want to make a bluetooth keyboard for SP4 users with a trackpoint I will buy it. Once you got used to that thing it’s almost impossible to live without it. IBM/Lenovo users will undoubtedly agree with me on this one. The other thing is the glare of the screen. After using matte anti-glare screens on laptops since the beginning of time, the glossy screen of the SP4 is a bit straining on my eyes. However, the trade off is a brilliant display with excellent color saturation. Also, the resolution is nearly double that of my Thinkpad, so it’s quite nice to look at. Using it outside or in a bright room is taking me a little getting used to. I think I will be considering matte screen covers, however I have heard that this makes the Surface Pen hard or impossible to use. The Microsoft keyboard attachment serves as a cover for the tablet, and I would have a hard time thinking that someone would be able to use the Surface effectively without this attachment. The keyboard is fairly nice, although the button spacing is slightly different and it’s taking just a little getting used to. Lenovo users are also very picky about keyboards, as IBM/Lenovo has been best in the business for a long, long time. However I’m finding that I can type quickly and accurately on the Surface keyboard and it feels natural. I like the key sensitivity and feedback feel. The trackpad on the keyboard cover leaves a little to be desired and some fiddling with the settings got it to a comfortable usability, however it’s leagues beyond the trackpad on the Thinkpad. 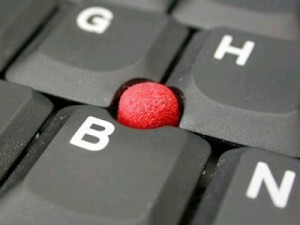 I was never a fan of trackpads, opting for the trackpoint or a mouse. I ended up buying the Microsoft Arc Touch bluetooth mouse, the one that folds over. Not sure if I like this better than my trusty Logitech, but I’m giving it a fair shot. The design leaves you without a lot to grab onto, and I am wondering if I’m going to get hand cramps from holding it. I’m eyeing the latest Logitech bluetooth mice as an alternative. Battery life on the SP4 is much better than my T420s, which was only getting about an hour and a half usage time before I needed to plug it in. This was making it hard for me to really take it on the road. So far the Surface Pro 4 is holding up well, and I’m getting about 5 hours out of it with a lot of web browsing and loading websites. Windows 10 itself is pretty nice. I am liking the new interface, and everything seems pretty snappy. I had a few glitches with my SP4 and the folks in the Surface Reddit seem to be having similar issues. The worst is a display driver glitch that changes the color temperature of the screen when using certain programs. The Edge browser and a settings screen in Windows were the two offenders I found so far. Browsing in Firefox does not give me this problem. Another problem is a speaker pop that randomly happens, and this seems to be another well documented issue with new SP4 users. Hopefully Microsoft can get these issues sorted out in the next few days with new updates. As I went through my workday tasks today I found the Surface to be extremely snappy and fun to use. I have to admit, who doesn’t like getting their hands on a new and fancy piece of technology? As a lifetime Windows user I am happy to see that Microsoft is putting out some must-have products once again. I was never a huge fan of Apple and their superiority complex. Overall I highly recommend the Surface Pro 4 and if you’re looking for something portable with the productivity of your regular laptop or PC, look no further.